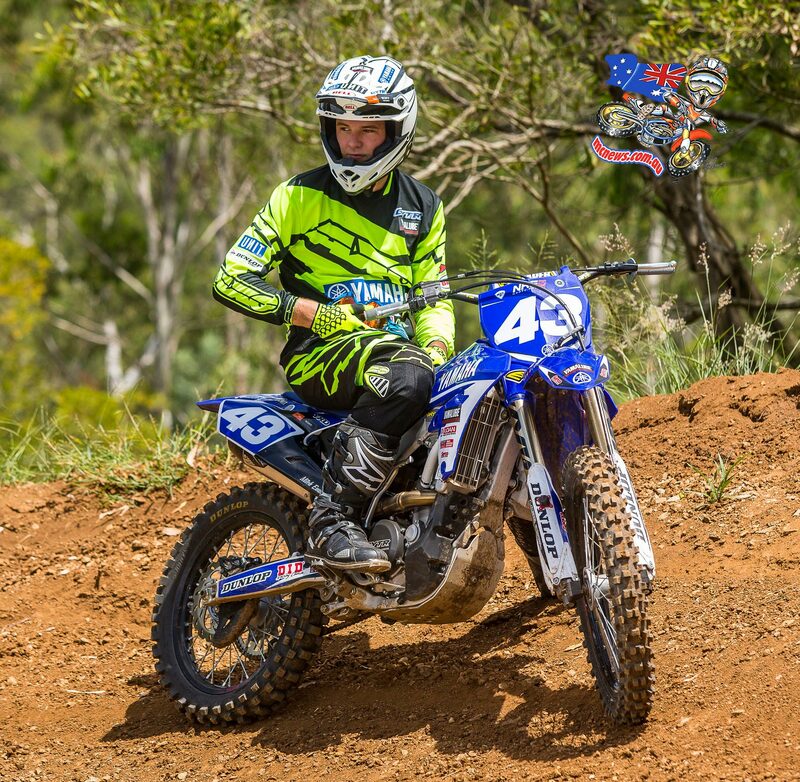 Todd Jarratt: So it’s your rookie year in the senior ranks, and with the step up to the MXD Class we have seen you make a big change to your long term program in moving from KTM to Yamaha with Scott Bishop at the GYTR Yamaha Team. In changing manufacturers you have also landed Wilson Todd as a teammate, a rider you have been fierce rivals with throughout your entire junior career. So how has that been working out for you? Mitchell Evans: You know it’s actually been really good. I remember as a kid being on a 50 and racing Wils (Wilson) at our local Cairns club days every now and then. I hated it when he came along because I just wanted to win and when Wils was there it made it harder for me to do that. It’s actually been beneficial for the both of us though. We grew up racing together in Far North Queensland, then when we travelled down south to events we would find each other on the track and then even when we travelled overseas for the Junior World Motocross Championships in amongst all the other nationalities of riders, we were still out battling during our races. It has always been close racing, but like I said we wouldn’t be where we are today without each other. Mitch Evans: Not yet (laughs). No, they knew we had been racing together for quite a few years, so they just let us know early on to keep the racing clean no matter what and that if one of us has a bad race, the other rider needs respect their situation and not say anything out of line. I’m not the kind of person to do that anyway, I keep to myself and Wils is a really quiet kid so he keeps to himself as well. But yeah it’s been fine, we don’t say too much but it’s not like there is tension or anything. We have a good time and make jokes so the atmosphere is good. ME: Ahhh, like the other weekend at Raymond Terrace Wils got a good laugh out of Bish (Scott Bishop) by playing a jersey prank on him. Basically, everyone knows gear is supposed to be worn matching yeah, especially as a professional? Well, when it’s cold Wils sometimes runs two jerseys to keep warm, so on the day he walked out of the truck with just the under jersey on, which didn’t match his pants. He did it because he knew Bish would react, and Bish didn’t know he was joking, so he gave him a rev about it, so that was pretty funny. 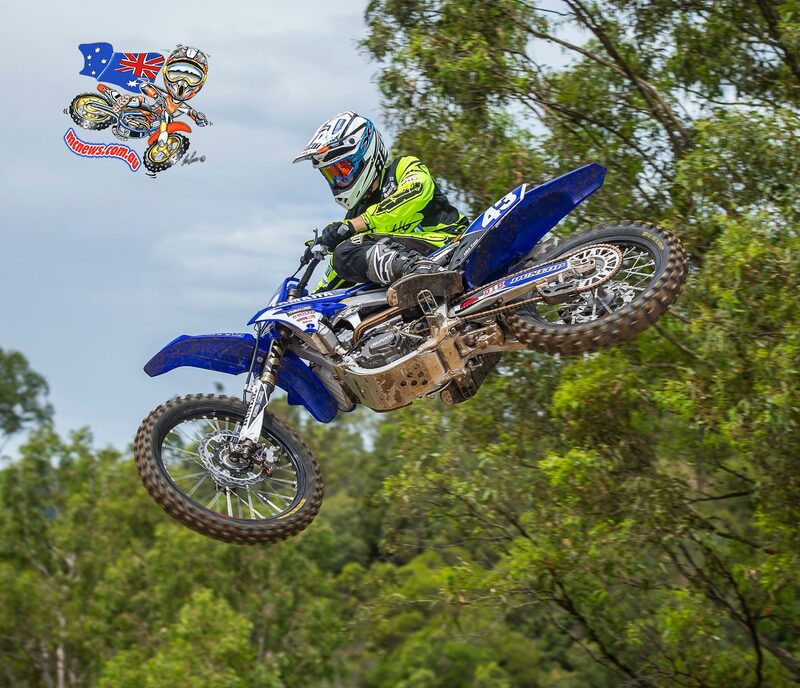 TJ: On to the serious topics now… At Horsham earlier in the year on your MXD debut, you qualified first, but only moments into the first moto after getting an uncharacteristic good start you found yourself on the ground with a broken wrist. 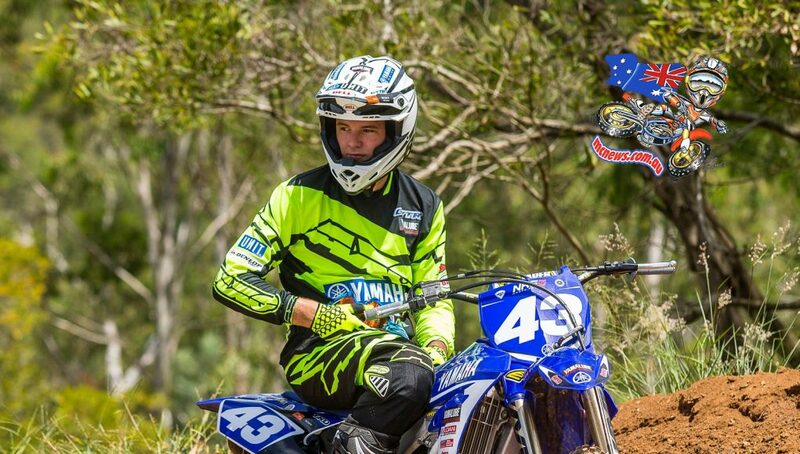 You then healed up over a four week period and returned to racing at round three of the MX Nationals. Again you qualified first, but on the first lap of the first moto you were again on the ground, but this time with a broken leg… Who’s mirror did you smash or what ladder did you walk under? Mitch Evans: Yeah it was a bit like that hey. At Horsham I was happy to qualify first, then in the moto like you said I got a good start, which is rare for me! I was only a couple of turns in and made a small mistake that saw me crash hard. I remember hitting the ground, but not getting up. I’d broken my wrist previously and knew straight away what I had done, so I circulated for one lap then exited the track. I was pretty devastated. Actually, devastated is an understatement. Then, I went through the whole rehabilitation process and managed to get back on the bike by Broadford. I was surprised with my qualifying result because I felt absolutely terrible on the bike. Then when it was race time I got a bad start and because of that I was in the middle of the field and got caught up with some riders in the first couple of turns and someone ran over my leg. I knew straight away that my leg was broken, but I didn’t want to accept the fact after just returning from my wrist injury. So I got up and tried to circulate for points, but only a lap later I fell in the exact same corner and could see how far away the rest of the field had already gotten. That’s when I went back in to the pits. This time I wasn’t sad, but more frustrated and angry because I was out again but this injury wasn’t my fault. Mitch Evans: Oh absolutely. For a day or so I didn’t want to speak to anyone, and I mean anyone. It was gut wrenching and so frustrating. To be so excited to finally go racing as a senior and then to not a finish a race in the first three rounds was something I don’t want to ever have to experience again. TJ: Then you had the mid season break to undergo more rehab before we saw you back at Raymond Terrace and Shepparton for rounds six and seven. Mitch Evans: Yeah, with it being a broken leg I was expecting the healing process to be a lot longer, but I went through the rehabilitation properly and was back on the bike a couple of times prior to round six. 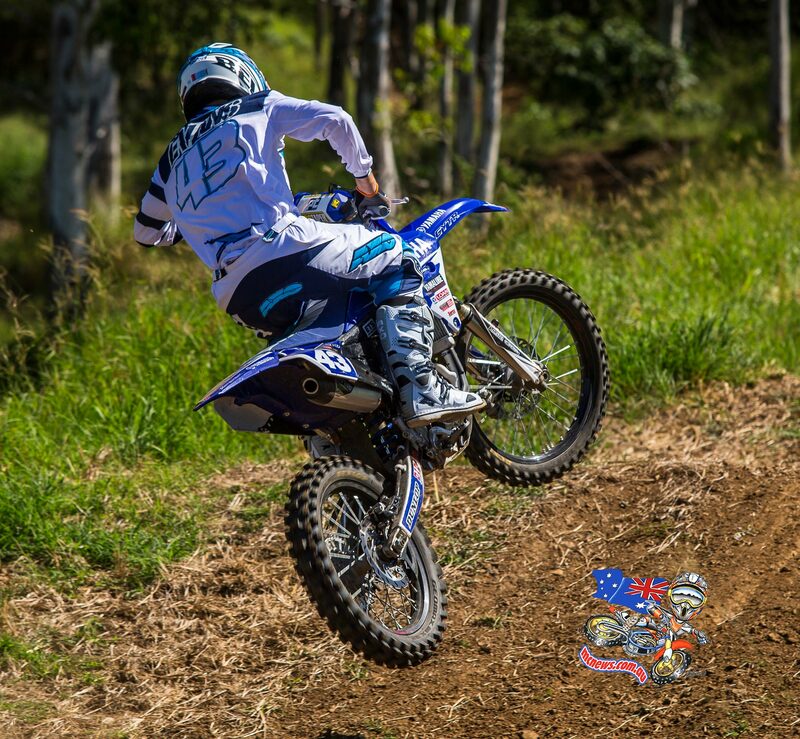 I finished third overall at Raymond Terrace, which I wouldn’t usually be stoked about, but I was just happy to see the checkered flag at the end of both motos. Then we went down south to Shepparton and I finished second on the day behind Jayden Rykers. Again, I wouldn’t usually be happy with that result, but considering the minimal bike time I had it wasn’t too bad. Not many people knew but I actually suffered a grade two ligament tear in my ankle at Raymond Terrace, so I wasn’t able to do much after that before Shepparton either. TJ: It’s been a rough run, but if your lap times are anything to go by you haven’t lost any speed through the setbacks? Mitch Evans: Yeah at Shepparton hey weren’t too bad once I got through the field. For me Raymond Terrace and Shepp’ were just about building and staying on the bike – not doing anything stupid. I struggled with arm pump a bit during the motos but that’s something I’ve been working on. 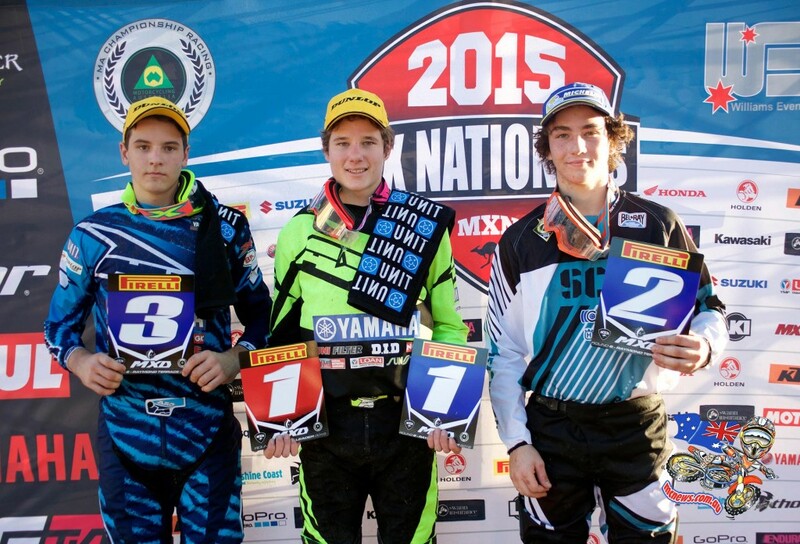 TJ: In saying that, what have you seen as being the biggest difference between junior and senior racing? Mitch Evans: There is actually two main things; track conditions and moto duration. 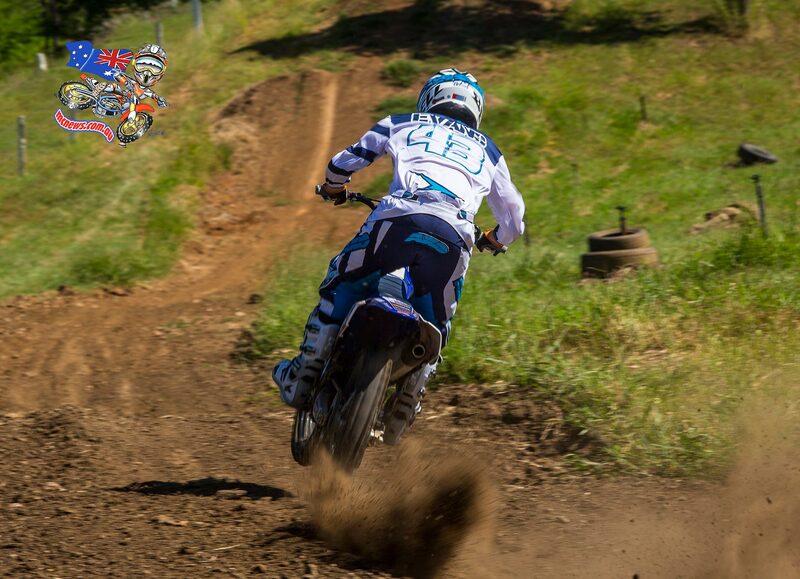 In juniors we race for around 10 minutes, whereas in MXD our motos can span up to 25 minutes in length. I like the longer motos because it gives a rider like myself more time to work their way to the front of the field if they don’t get a good start, and it also shows who puts in the work during the week rather than just getting results from starting up front. Then, there is the track conditions and they’re completely different. In juniors there is usually only one to two lines around the whole track, and even then they’re always pretty shallow with not much security. In seniors, there can be anywhere between three to five line choices in every section of the track and they’re all pretty deep, so I’m really liking that! Overall you could say I’m really enjoying those two big differences! TJ: When most riders your age these days hit the national schedule they seem to move away from home and focus their training elsewhere. You haven’t, you’ve remained grounded in Cairns away from everyone – why is that? Mitch Evans: Mainly to stay close to my family. I still attend school five days a week and have just started year 11 completing the Queensland curriculum for an OP to make me eligible to enter university. I’m hoping I won’t be heading there, but it’s something to have behind me in the future, which I think is really important. In saying that, it’s tough. I see all the other national guys posting photos and videos on social media of their days training and I’m getting home from school having to do jobs, homework and assignments, bike maintenance and try find time to train somewhere in there. So it’s definitely full on. Mitch Evans: America for sure. I say that because in spending time in Europe over the years competing at the junior worlds I was never a fan of the cultural diversity. Everything changes so quickly – the food, the accommodation and the languages. You travel one hour in any direction and you’re basically in a whole new country where everything is different. In America, the food is similar, their first language is English and they have plenty of good tracks. 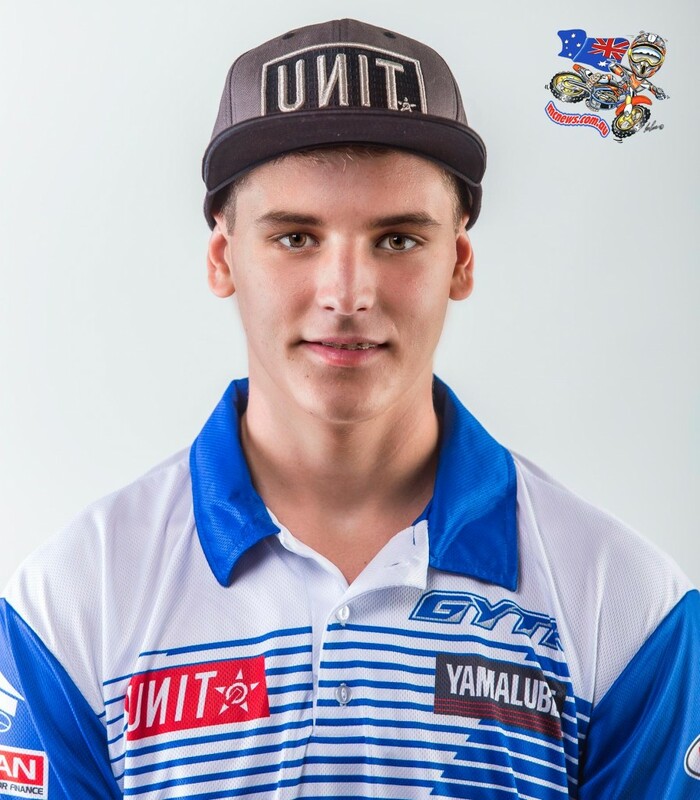 TJ: Thoughts on your former teammate and good friend Hunter Lawrence’s performance in Spain at the Junior World Motocross Championships recently? Mitch Evans: I was absolutely stoked for him! He did so well, especially considering he had poor starts and had to come so far through the field to get to where he was – that’s a massive effort in that class. They’re big boys over there, they don’t mess around, they’re not afraid to do some bar banging and the competition in that 125 field is stiff. It was also cool to see how good his fitness was in comparison to the other riders, logging some of his fastest lap times nearly at the 30 minute mark, so that was awesome! I think there will be a lot of eyes on him after that race! TJ: Well thank you very much for your time Mitch and no doubt we will be seeing you this weekend at Nowra! Mitch Evans: No worries at all mate, and you sure will be!